This Mayflower Back Panel is 27% off the regular price! 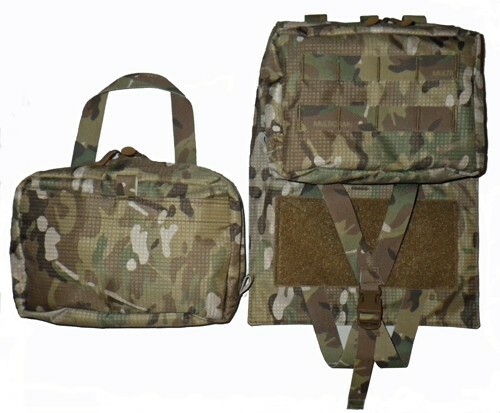 The Assault Back Panel Type 1 MOLLE is designed to carry the minimum amount of kit for a short duration dismounted mission. 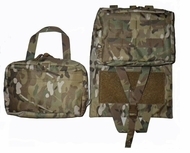 The main body is designed to carry a 50-70oz water bladder; the upper zippered pouch is designed to hold the SOCOM issued NVG protective insert, the bottom pouch is designed as a re-moveable medical pouch. The re-moveable medical pouch features internal elastic retainers and a flat VELCRO® Brand external pouch. All workmanship is 100% made in the USA. 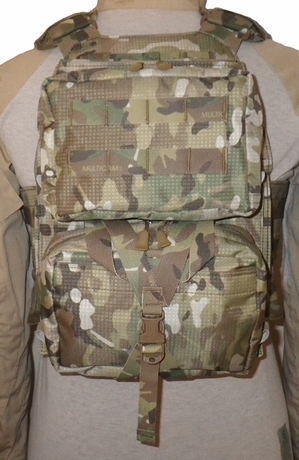 This version of the Assault Back Panel Type 1 features astandard MOLLE/PALS Webbing with button snap closure for attaching to vests. All materials and workmanship are 100% made in the USA. Back Panel and Re-moveable Pouch Only. Armor Carrier sold separately.